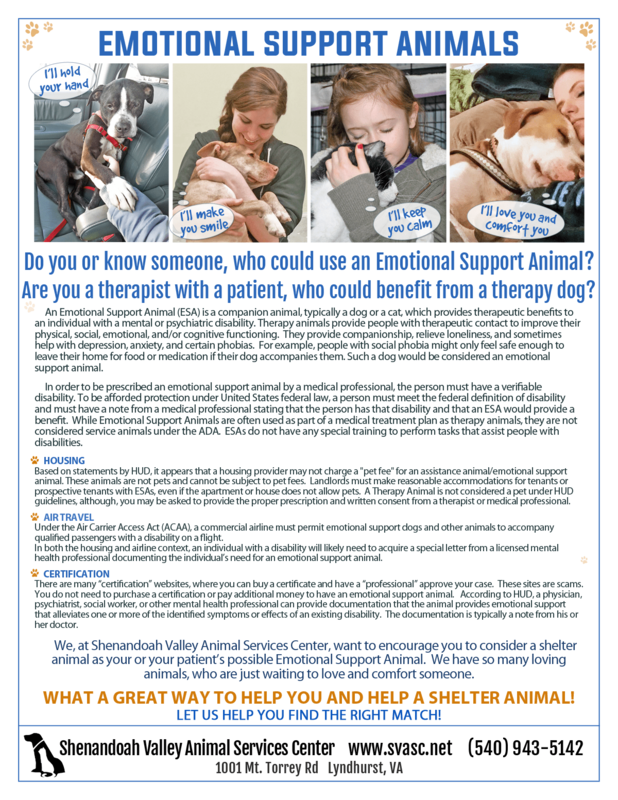 We, at Shenandoah Valley Animal Services Center, want to encourage you to consider a shelter animal as your possible Emotional Support Animal. We have so many loving animals, who are just waiting to love and comfort you. Here is a Printable PDF version of the above information Emotional Support Flyer. 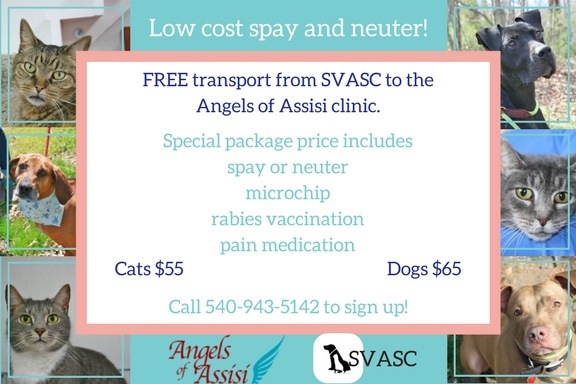 SVASC wants to stress that you DO NOT have to pay additional money to websites to register your ESA, get an emotional support animal approval, or a prescription service. These sites are scams and it is NOT necessary or required to have these. Usually, a letter from your doctor or therapist is accepted. An E.S.A. is defined by the government as an untrained companion of any species that provides solace to someone with a disability, such as anxiety or depression. The rights of anyone who has such an animal are laid out in two laws. The Fair Housing Act says that you and your E.S.A. can live in housing that prohibits pets. The Air Carrier Access Act entitles you to fly with your E.S.A. at no extra charge, although airlines typically require the animal to stay on your lap or under the seat—this rules out emotional-support camels. Both acts stipulate that you must have a corroborating letter from a health professional.